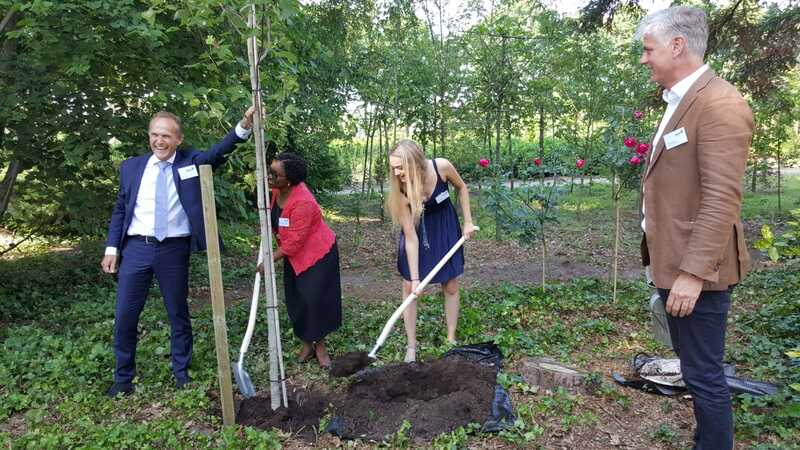 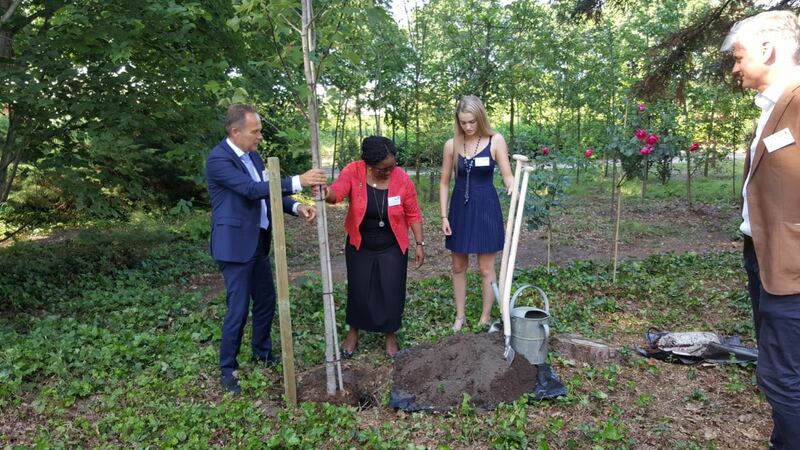 The Ambassador participated in a Symposium which culminated in the planting of a tree to celebrate 25 years of the establishment of Form International (FI) and the inauguration of FI’s new office in Hattem on the 6th of June 2018. 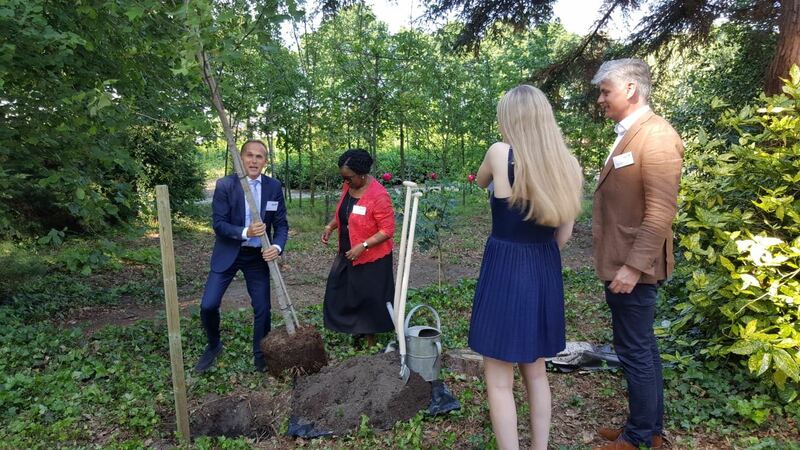 FI and the Dutch Government have been extending support to Tanzania in the forestry development sector since 2013. 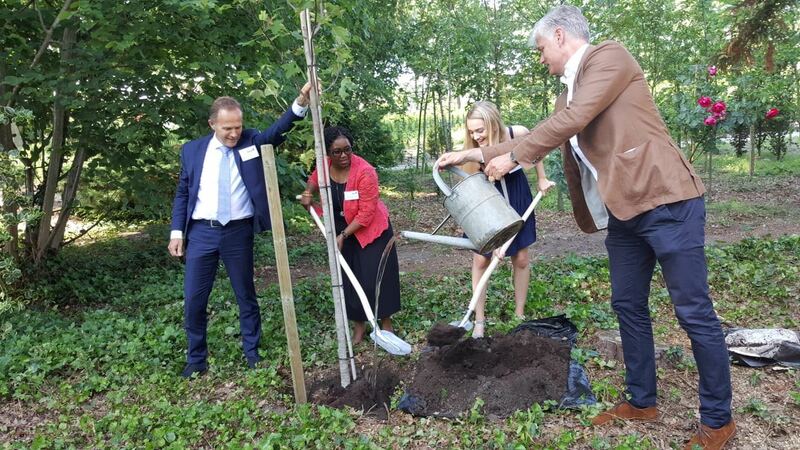 Included in the pictures below: CEO of FI, Mr. Paul Hol (in the blue suit) and his daughter, Isabel, as well as Ambassador Hans Docter, Director for Sustainable Economic Growth in the Dutch Ministry of Foreign Affairs (in the brown jacket). 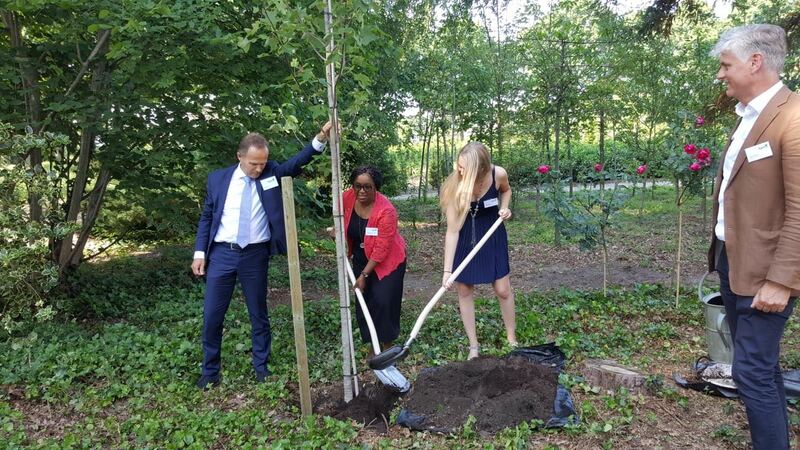 All took part in the planting of the tree.